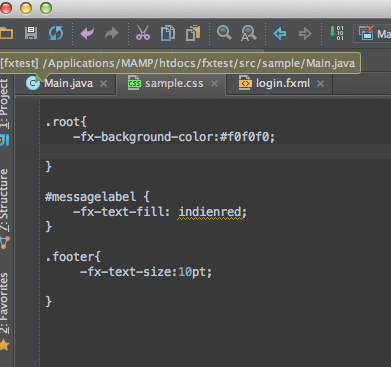 I habe freshly installed the CE edition of IntelliJ and tryed to retype the JavaFX2 project from the introduction video. everything works fine, except that the codeompletion and codetype of the css file does not seams to work. In the video the code completetion kicks in, when -FX- is typed, not on my system. It also does not show the colorpicker when specifying the -fx-background-color in the root class. does anyone is having an idea, what I am doing wrong? you need to have ultimate edition to get css support as the CSS plugin is available in UE only.